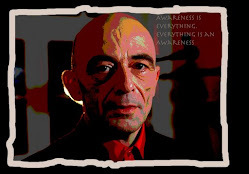 The Awareness Principle: Who or What is the Experiencing Self? Do not think or say to yourself "'I' experience X.". "There is an awareness of experiencing X." "IT [pure awareness] experiences X." In Western philosophy and psychology, as in practices of psychotherapy and counselling, the nature of an individual’s mental, emotional, sensory and somatic experiencing may be ‘looked at’, ‘looked into’, communicated and discussed. However the basic question of who or what constitutes the nature of the ‘self’ that is ‘experiencing’ - or ‘looking’ at or into ‘their’ experiencing (the ‘subject’ or ‘introspector’) is largely ignored. Instead a basic unthought assumption pervades both everyday language and that of therapeutic or counselling discourse and dialogue. This is the assumption that personal pronouns such as ‘I’ and ‘you’ (as used in such phrases as ‘I felt…’, ‘I experienced…’ or ‘How do you feel about…?’ / ‘How did you experience…?’) denote some pre-existing self or identity or who separate from what it experiences. The implication is that the ‘I’ or ‘you’ that does, thinks, feels or experiences one thing is the same ‘I’ that does, thinks, feels or experiences another. Even a question as common and simple as ‘How are you?’ therefore, far from being ‘neutral’, carries with it and demands from the one questioned a type of answer that, by using the word ‘I’, conforms with and reinforces the assumption of a self separate and apart from its experience. The more basic assumption here is that experiencing in all its modes – mental and emotional, sensory and somatic – is the private property of a subject, self, ego person or who, understood as unchanging ‘I-dentity’, ‘You-dentity’,‘She-dentity’, ‘He-dentity’ or ‘We-dentity’. What fails to come to awareness here is any clear distinction between this ‘who’, understood as a singular experiencing self or ‘I’ and something quite different – the experienced self in all it diversity. Thus the frequently used term ‘self-awareness’ remain ambiguous without this distinction - leaving it unclear as to whether it refer to the awareness or experience of a particular self or identity - what can be termed an experienced self – or to the self that is aware and 'experiencing' (the 'experiencing self'). That is why the frequently used term 'self-awareness' both totally confuses and leaves totally unthought the relation between any experienced self and an experiencing self. And yet this question is a central one because it bears on another as-yet unthought question of great significance in both life and therapy. On the other hand the mere use of the word ‘I’ in describing experience ("'I' think, feel or experience Z") assumes the existence of an experiencing ego or 'I', self, 'subject' that merely 'has' or 'possesses' awareness as its private property. This brings us to a ‘basic question’ that has long been a part of Eastern philosophical thought, yet still remains wholly unthought in the theory of Western ‘psychology’ and thus also in the Western-rooted practices of ‘psycho-therapy’ and counselling - who or what constitutes the nature of any aware or experiencing self and what is its relation to any experienced self that there is an awareness of? For over two thousand years a single, simple yet basic question has been constantly debated among and between Hindu and Buddhist thinkers. Countless sutras and tantras and the most convoluted arguments have been devoted to it. Summarised briefly and coarsely, the Buddhist answer to this questions is that there simply is no 'experiencer' or experiencing ‘Self’. There is just experiencing – and beyond that, an ultimate reality beyond experiencing - pure Emptiness or Nothingness. The Hindu answer - again summarised most briefly and coarsely - is that the 'Self' as such is the experiencer, and that since all experiencing belongs to the Self, the Self alone - understood as identical with Brahman or Shiva - is ultimate reality. Yet how can we know of any such Self except through an experience of it? And who then is the experiencer of this Self? Another higher Self? If so however, then the initial question reoccurs – how can we know of any such Self except through an experience of it, thus reducing the Self as experiencer to an experienced self? An answer to a question that raises the same very question – in this case the question ‘Who is the experiencer’ is known as ‘regressive’ – leading to an infinite regress to the initial question, which thus finds no final answer. Only through the Advaitic philosophies of Adi Shankaracharya and Sri Abhinavagupta did the first rays of light begin to shine on this age old question. Refined through the prism of what I call ‘The Awareness Principle’ they offer a new answer to this oldest of questions. To experience something is to be aware of it. The new answer to the question ‘Who (or what) is the experiencer? Is that awareness is the experiencer - not awareness of anything in particular, of any particular thing that is experienced, but awareness as such or ‘pure awareness’. The distinction – between awareness as such and anything we experience or are aware of – is a fundamental one. It is as basic and clear as the distinction between dreaming as such and anything we dream of, between a mirror and any images reflected in it, or between empty space and any objects in it. A mirror is an analogy of that pure awareness which remains forever distinct from anything we see – experience – in it. Similarly space is an analogy of pure awareness - being both inseparable and yet also forever distinct from anything experienced within it. Indeed space is more than a mere ‘analogy’ of pure awareness – it is itself nothing but a spatial field of awareness, that which first allows things to be experienced as present or absent, existing or not-existing. Yet it was Shankaracharya who was the first to urge against understanding the experiencer as the Self in a narrow sense – as the egoic self or ‘I’. Thus he warned against the tendency to linguistically personalise experience – to think and speak of what ‘I’ or ‘you’ experience, or of ‘my’ or ‘your’ experience. For he understood that the egoic ‘I’ constantly seeks to possess experience as its own - as its private or personal property – and does so primary through use of the very word ‘I’ in the act of speech. Where do the insights of Advaita and Shankacharaya however, leave the notion of the Self or Atman as opposed to the ‘ego’ or Ahamkara – the latter being a ‘self’ defined and reinforced by its very use of the terms ‘I’ and my’? The resounding resolution to this question is announced in the first of the Shiva Sutras of Vasugupta, the foundational scripture or ‘tantra’ of Kashmir Shaivism. In a single compound noun (Chaitanyatman) it is effectively declared that the essential nature of the Self is itself nothing but awareness as such. The Self, therefore is not some pre-existent being or experiencer that happens to have ‘have’or possess awareness. On the contrary, the Self is awareness as such or ‘pure awareness’ (Chit). In the light of the Shiva Sutras therefore, there is no longer any contradiction between the old Hindu maxim that the Self is the experiencer – and the highest reality – and the recognition that Awareness is the experiencer. For as stated in Shiva Sutras 1.1, the essential nature of the Self – as opposed to the ego - IS Awareness. Awareness then is the experiencing self - a self quite distinct from both the ego and from any experienced self. The Buddhists are right in understanding that every such experienced self is is ‘no self’ – being forever constituted and altered by the flux of experiencing. Yet behind all experiencing and all experienced selves lies that awareness which is the experiencing self. What does all this mean for us in practice and in our lives? Throughout the millennia in which the basic question was explored and debated, there was also a continuous search to refine an ultimate sutra that would serve also as an ultimate mantra – a precisely WORDED awareness or Vikalpa guaranteed to serve as both liberator and protector of an ultimate, WORDLESS awareness. The search by sages, gurus and acharyas for this ultimately precise ‘mantric’ wording or ‘formulation’ can be compared to the search by physicists for an ultimate mathematical ‘solution’ or 'formula' by which all phenomenon can be explained. It is an on-going search that demands as much linguistic precision and rigour as physics requires mathematical precision and rigour. In my writings on The Awareness Principle I have evolved a variety of very precise linguistic formulations designed not only to offer intellectual answers to philosophical questions but to serve as life-transforming mantra. Later evolved a new mantra ‘There is an awareness of…’. The intent of this mantra was to serve as way of reminding ourselves, in any situation and in the course of any experience’ – that anything we are experiencing - inwardly or outwardly - is distinct from the pure awareness of experiencing it. The mantra also serves to remove the possessively egoic personal pronouns ‘I’ and ‘my’ from the language in which we think and express experience – thus also transforming the very way we experience both self and world. For there is a world of different between an experience that is accompanied by the habitual thought that ‘I’ experience this (for example ‘I feel X’ and an experience which is accompanied by the mantra ‘There is an awareness of experiencing this’. “No, it is not that ‘I’ see, hear, feel or think this or that.” Instead There is simply an awareness of this that is seen, heard, felt or thought - just as there is simply an awareness of experiencing our own self in a particular way. This self that is experienced in a particular way is precisely that – an experienced self and not ‘the experiencer’ - the experiencing self. As a result of recalling the mantra - the mental recognition - that ‘There is an awareness of experiencing this’ or ‘There is an awareness of experiencing this self’ it becomes possible to identify with that very awareness – to BE IT. Being Awareness - that awareness which is the experiencing self – is what saves us from identifying with any experience and with any experience of self that accompanies it. The mantra ‘There is an awareness of…’ thus allows us both to hold on to ‘the fundamental distinction’, to avoid identifying with any experienced self, and, at the same time, prevents the egoic self from using from using the habitual word ‘I’ to seize and possess as its ‘own’ the entire realm of experiencing. There is another, yet simpler mantra by which the ego - with its constant use of the word ‘I’, its implicit claim to be ‘the experiencer’ – and with this its constant tendency to thereby narcissistically personalise all experiencing - can be successfully circumvented and transcended. By ‘IT’ is meant that Supreme, Universal and Divine Awareness – awareness as such or pure awareness – which is at the same time the true essence of the experiencing Self. The use of this new mantra is similar to the mantra ‘There is an awareness of…’. For it also allows us – after or in the course of any experience of any nature - to renounce the personal pronoun ‘I’ and instead remind ourselves of and re-cognise the truth that it is not the personal ‘I’ that is ‘the experiencer’ but rather ‘IT’ – that ultimate and trans-personal reality which is the Supreme, Universal and Divine Awareness. pain, but rather IT experiencing pleasure or pain through and as me). that experiencing ITSELF (IT's SELF) through and as ‘I’ or ‘you’, ‘him’ or ‘her’. The first formulation of the mantra however, remains the most potent seed or bija of all further and more elaborate formulations. A mantra is a guarding thought. To transcend the ego and to attain and protect a state of pure awareness one need only to renounce the word ‘I’ and to think: ‘IT experiences this’ or ‘IT is experiencing this’. Doing so we can come to instantly recognise the true nature of ‘the experiencer’ - neither as a mere realm of Emptiness nor as an ‘I’ which has or possesses awareness but as IT - that Universal, Supreme and Divine Awareness which is the very essence or ‘heart’ of the Self. The formulation ‘It experiences this’ like the formulation ‘There is an awareness of experiencing this’ are specific and precise mantric ‘wordings’ which - mentally recalled and re-cognised – can instantly evoke a wordless, bodily transformation of all that we experience. That is their power and purpose as mantra – as guarding thoughts. These are important because the realm of experiencing is itself not only reflected in thought but also shaped by thought. Experience - including our ever-changing experience of self - the experienced self – has quite a different quality according to whether the thought that pervades and shapes it is ‘I am experiencing this’ or ‘IT is experiencing this’, ‘I am experiencing myself in this way’ or ‘IT is experiencing me in this way’. Being Awareness – being ‘IT’ – is the highest Bliss. This is the essential meaning of that most central of Hindu-Sanskrit philosophical terms: Sat-Chit-Ananda (‘Being-Awareness-Bliss’). I have not even bothered here to address the new, current and supposedly ‘scientific’ answer to the question of ‘who or what is the experiencer?’ – namely that ‘the experiencer’ is nothing but the brain. For it is - in principle - sheer philosophical and linguistic muddle-headedness to think that anything experienced (any ‘object’ of experience) can possibly be the experiencer (the experiencing ‘subject’ or awareness). Instead Awareness - alone and as such - is the sole and ultimate experiencer, and in this sense also the ultimate essence of 'Self'.